Stefan Schreiber studied pre- and protohistoric archaeology, Medieval history and Medieval German literature and language at Humboldt-Universität zu Berlin. In 2010 he wrote his M.A. thesis on the subject of “‘Cultural Appropriation’ as a Strategy of Dealing with Things. Archaeological reflections on a cultural anthropological model” (German title: “,Kulturelle Aneignungen‘ als Strategien des Umgangs mit Dingen. Archäologische Betrachtungen zu einem kulturanthropologischen Modell”). In 2016 he finished his PhD Thesis on the topic “Travelling Things: Thinking on the character of ‘Roman imports’ in Central Germany’s ‘Barbaricum’” (German title: Überlegungen zum Charakter ‘römischen Imports’ im ‘mitteldeutschen Barbaricum’). His interests are archaeological and anthropological theories, material culture studies, gender theory, culture encounters and agency theory from constructivist, postcolonial and posthumanist points of view. 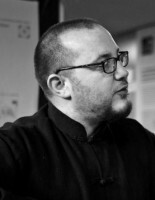 Stefan Schreiber was a doctoral fellow at the Excellence Cluster Topoi and has also participated in the PhD program “Material Cultures and Object Studies” (MaCOS) at Berlin Graduate School of Ancient Studies (BerGSAS). Roman Imports in the Barbaricum: Economic Influences or Cultural Encounters? Consumptionscapes – "Römische Importfunde’ als materialisierte Identitätsräume? 16.06.2015 Talk Dinge auf Wanderschaft. “Römische Objekte“ oder „nicht so römische Akteursnetzwerke“?